From all the static out there, you'd think that there wasn't a mountain of pretty conclusive evidence showing that vegetarians are healthier in just about every way. It's pretty clear: If you want to live longer and be healthier, stop eating meat. I've previously written about why low-fat-diet-eating vegan men are manlier and don't become impotent here. Now, in an article entitled "Why Vegetarian? ", I've delved into the many reasons why meat-abstainers are tremendously healthier. Read it here. "...whether or not you currently eat, or want to eat, a raw diet, this book will have some amazing, profound insights for you, insights that lift you up and inspire while giving you a solid push in the right direction." - Raw Foodist Alison Andrews. 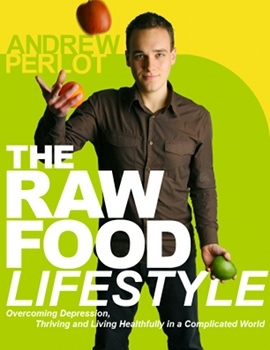 Learn more about The Raw Food Lifestyle here.